...I'm reading. Why am I so excited to do so much reading this weekend? It's Mother Reader's 6th Annual 48-Hour Book Challenge. 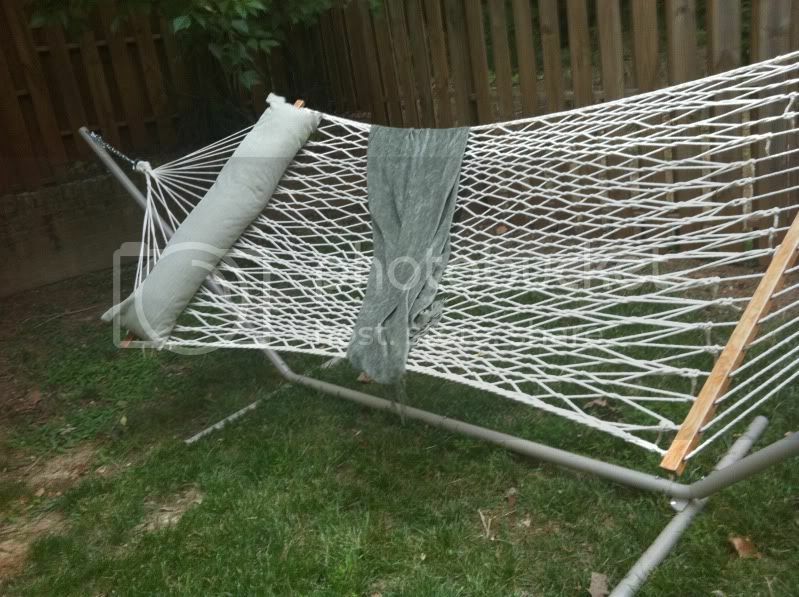 And, I have a brand-new hammock! It's a beautiful day outside, and I'm going to enjoy it. That hammock looks awesome! Enjoy! That sounds like the perfect way to spend today :) And I cannot believe that in the past you actually wrote a month's worth of posts in one weekend! That is insane! And I'm jealous. Seriously, how did you make that happen?? Happy reading this weekend! Ahh...a hammock sounds wonderful. Enjoy! This hammock is a slice of heaven. Love it! @Katie - Usually a post takes about an hour for me to put together -- once I was on a roll, I managed to bang them out pretty fast. Last year I put in 30 hours on the book challenge, and most of that I spent posting. It felt great getting caught up on my books to review, I'll tell you that! I was a little jealous of folks who spent most of their time reading though, which is why I thought I'd switch it up this year.